Recommended for application of eye shadow and lip products. 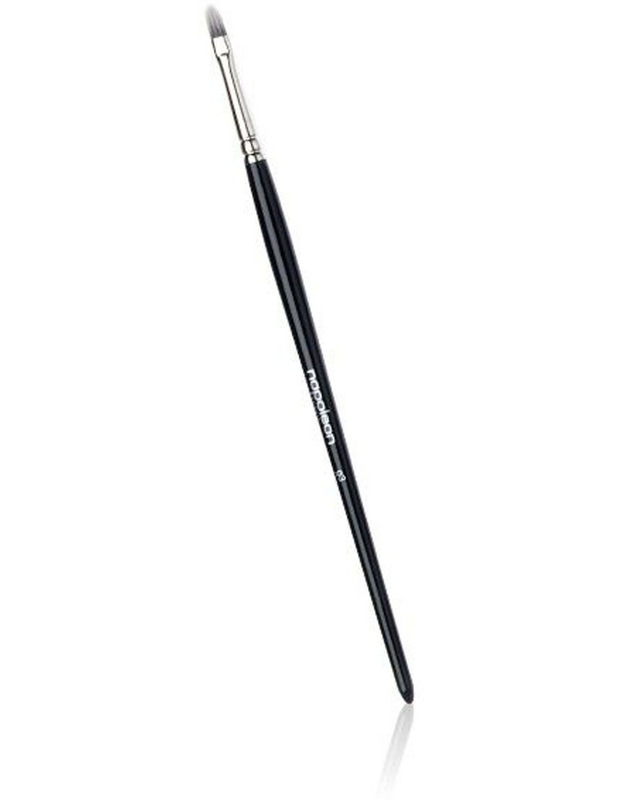 This smaller brush is used to apply eye shadow into the corner of the eye and is perfect for applying lipstick to achieve a crisp edge around the lip line.' Synthetic hair ' Clean with Napoleon Perdis Brush Cleaner.